The 6068 HTJ57, 6-cylinder, turbocharged diesel engine provides all the power you need to keep loading, day after day. 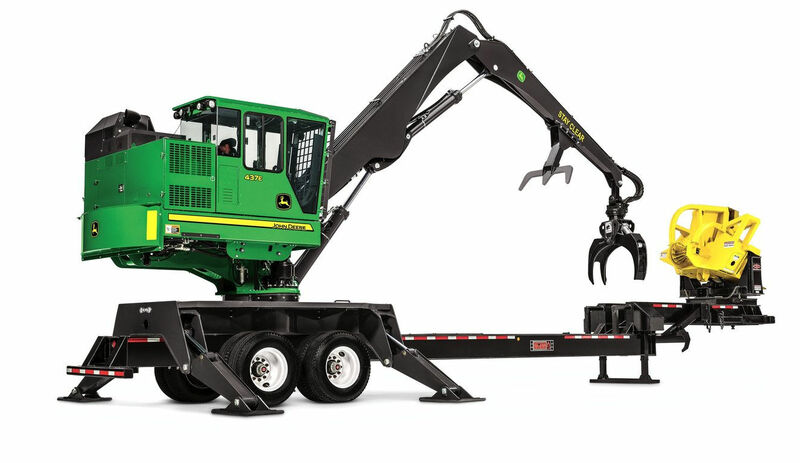 The E-Series models boast fast boom and swing speeds, as well as streamlined hydraulics. A dedicated swing circuit gives you continuous power for more productive delimbing and loading. Increased swing torque compared to previous models. An improved front grate latch and quick, deck-level access to service points, including easy air conditioner filter access and grease fittings adjacent to the cab doorway, speed daily maintenance.